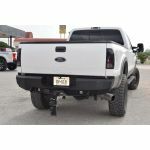 The Steel Craft HD rear bumper comes in a mild black powder coat finish. 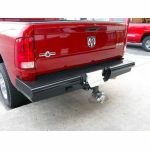 This bumper is built to work with the OE tow hitch & park assist sensors. It does stick out quite a ways further than a stock bumper & may require an extended ball mount. 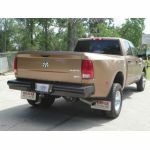 Very nice heavy duty bumper.